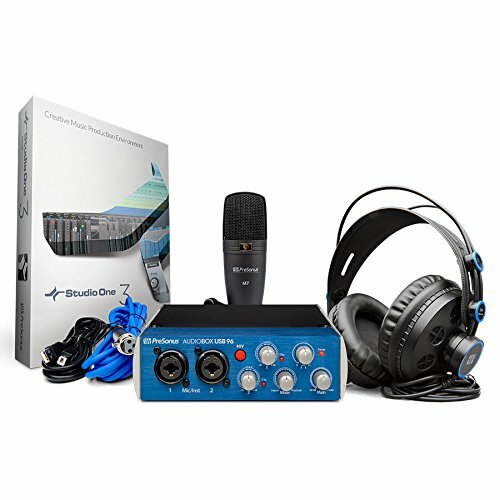 Start recording at up to 96 kHz today with this complete, all-Personius package! Record with the ultra-mobile Audio Box USB 96 bus-powered, 2-channel USB 2.0 audio/MIDI interface and easy-to-use Studio One Artist DAW software. Capture sound with the M7 large-diaphragm condenser mic and monitor with high-definition HD7 headphones. Studio Magic Plugin Suite also included.